I was married for fifteen months. 390 days in a loving marriage to my super hero best friend husband. Michael. Saying his name in my head, I can hear myself smile. I can see his mouth as he shapes his own name, introducing himself to people. As I watched him do so many times. No sound, just the visual in my mind. That smile. A slightly wonky grin. And sparkly blue eyes that made you feel like you were the best thing he’d seen all day and the only person in the room that mattered at that moment. Today we reach the same number of days since he died. One year, two months and 28 days. So much has happened without him around that I want to talk to him about. Get his opinion on. Laugh about, cry about. How slowly and quickly time has passed. I felt a little ‘lighter’ after scattering his ashes, eleven months in. Some release perhaps? I felt even sadder, more chest pain, but lighter. Then one year in, the “death anniversary”. I thought it would all get easier after that hideously noisy, numb day. All afternoon my mind jumped to where we were one year ago; the accident, the phone call, running through airports, finally getting to touch his hairline in ICU. I think I now realise what all of this last year has really been about; survival. Keeping going. In a state of shock maybe? Well I think the shock’s well and truly worn off now, even though I don’t think I ever had a “denial” phase. I fully accept that it’s real. But now I’m just So. Very. Tired. I want the world to stop for a few weeks so I can just have a lie down. Sleep. Catch up on things. But I must take comfort in the fact that, no matter how bad/sad/mad I feel, it changes. I know that it all keeps changing with time. And I know that nothing matters other than love. And spending time with our loved ones. It’s not a phrase I’d heard before; “mourning madness”. Not by the grief counsellor I saw, or the social worker at the coroner’s office. 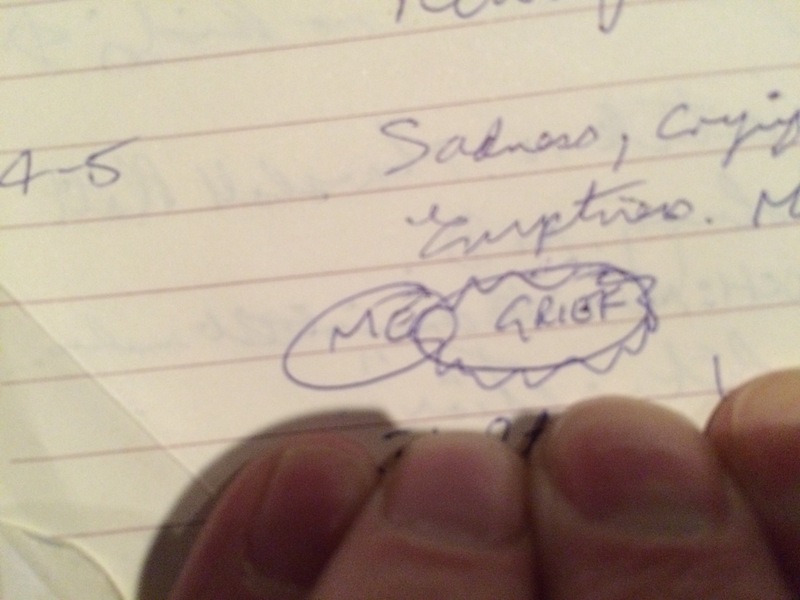 I thought it was a myth when people tell you that grief makes you a bit crazy. True to form, the craziness arrived promptly at about week 4 after Michael died. Immediately after the initial, numb blur of cremation, funeral and public memorial had finished. 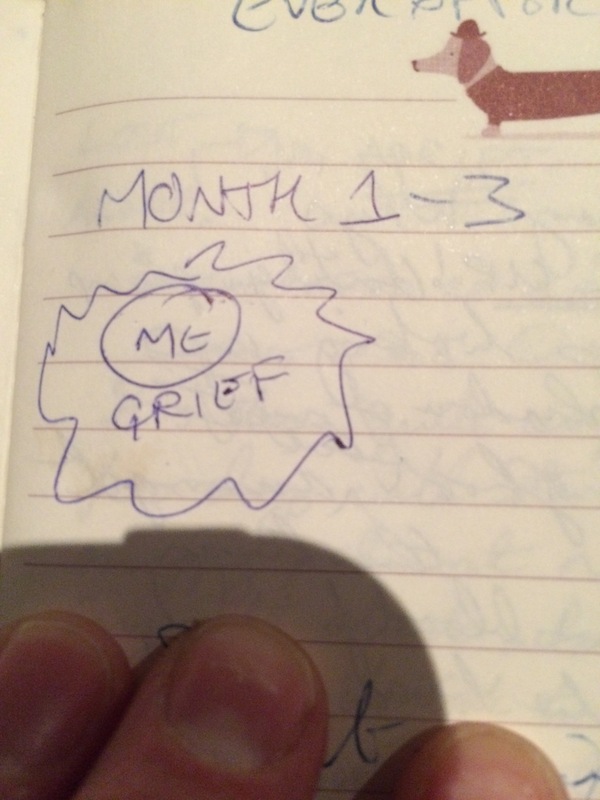 Crazy, clumsy, forgetful, ‘a bit slow’ and awfully irritable, I emerged from month one. 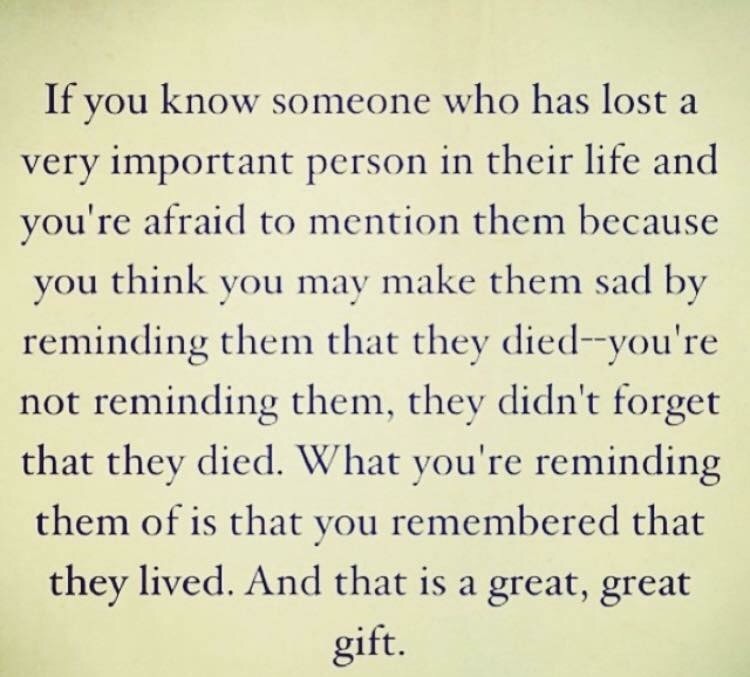 I saw the term ‘mourning madness’ on a grief website, created by two spunky ladies, both mental health professionals; whatsyourgrief.com. Apparently forgetfulness, losing things, being narky, random promiscuity and much, much more are all normal. Thank heavens it’s true! I am mad! I’m not alone and grief makes you mad! Hoorah! Well, no. But perhaps I felt a little relief? The irritability and forgetfulness saw me being snappy with loved ones, extremely confused in the supermarket and often misplacing my house keys only to find them later in the fridge (yes, really). It can feel like you’re going TOTALLY BATSHIT NUTS at times. Like your brain is scrambling the most opposing and random thoughts and shoving them into your conscious mind like a very believable slap in the face. On the bus I observe the almost lifeless, human figures around me and want to scream at them for wasting their lives staring into their phones instead of having a meaningful conversation with the person next to them! Jeez. What is wrong with me? A relatively successful, ‘normal’ day and then a routine blood test and the sight of a vial of my own blood sends me into convulsing sobs. Panic rises in my chest and throat, as pictures of hospital beds and blood bags spill into my mind. What the heck is wrong with me? The overwhelming urge to hit a lady (yes, to actually hit someone!) in a cafe. She is on the phone to a friend as she garbles on about the lack of money from her recently deceased grandfather and how only 2% will go to grandchildren (her) and how her sister and brother are far wealthier and don’t need their cut anyway and how unfair it is. Seriously, Kate?? Chill out and step away. The overwhelming, “this is so totally normal”, urge to throw out the ENTIRE contents of my apartment because I want to start afresh! Kate, what are you doing? Yeah? What’s wrong? I know I’ll NEVER need ANY of these things again!! An activity that I use to love (going to the gym, the cinema) now seems so confusingly inconsequential as to completely confound me. How can anyone who is vaguely normal and intelligent, ever choose to do it? I mean, WTF are they doing??! There can’t possibly be any point, nor any joy in it AT ALL. I won’t embarass myself further. It goes on… I think for the first six months I felt like this pretty much every, single day. A year on, it pounces once a fortnight maybe. The madness. The bizarre “perspective” that a sudden, traumatic loss gives you. It takes so much more time than I thought for the brain, heart, soul and mind to digest, navigate, comprehend. Our brains adjust, as of course they always can. Giving us the opportunity to find our new ‘norm’, when we’re ready and should we choose to. The heart takes so much longer, if ever. We are NEVER the same again. Never the “same old <insert name>”. However much people want that for us. So we keep moving through the grief. The madness skulks away. Slowly, limping and licking its wounds. The new person we become through our experience can wake up. And we have the opportunity to smile, laugh and shake our heads at the mad, mourning moments we had.